We've made it to yet another weekend and it's finally time to relax with some of our favourite games. After the excitement of the physical Hollow Knight release and the horror of seeing Zelda: Breath of the Wild without its cel-shading this week, team Nintendo Life has gathered to talk over our weekend gaming plans. You can read up on what we're up to below, and make sure to join in via our poll and comment sections. Enjoy! This is random, and I’m not sure why, but I’ve reverted back to the old 3DS to play a few throwbacks this weekend: Pokémon Alpha Sapphire (most hate this game, but I personally love it) as well as X & Y, Animal Crossing: New Leaf, various Zelda titles, Luigi’s Mansion, etc. As I look at this list, I realize I may just be getting excited for all of the new games in these franchises coming out on Switch later this year... woah, insight. 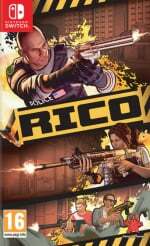 This weekend I'm almost certainly going to be playing more of RICO. It's giving me the shooter fix I need when I'm commuting or chilling out on the sofa. Even when things get really challenging in the latter parts of the campaign I just love it. Plus those weapon skins won't earn themselves. 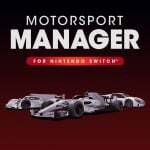 I'll also be spending some time with Motorsport Manager on Switch. I played the original back on mobile a couple of years ago and really dug how well it captured the complexity and abject disappointment of modern F1. Here's hoping this version lives up to expectations. Have a good 'un! To be completely honest with you, I'll likely be ditching the Switch this weekend to play through one of my old favourites on Steam (although it did also launch on Nintendo DS, so there's no need to ban me from the site just yet). That old favourite is Plants vs. Zombies, a strategy, tower defence-like game featuring a quirky cast of... Well, plants and zombies. I've never played the DS version sadly, but I can wholeheartedly recommend it if it's anything like its PC counterpart. There's something so wonderfully addictive about it, and it's one of the very few games that I've completed multiple times. I've been itching to play it for a few weeks, so I'm looking forward to hours of uninterrupted bliss. 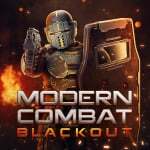 Modern Combat Blackout is off the table! Oh, I still very much love it, but I am giving it a hard pass until Gameloft’s impending balancing patch that will nerf all the game breaking, no skill, auto-tracking guns into obscurity. This weekend brings the holy trinity of Nintendo events (Splatoon 2 Splatfest, ARMS Party Crash Bash and Super Smash Bros. Ultimate spirit board event) so expect to see me online often. Whenever I need a break from the online hustle, back to Assault Android Cactus+ I go… and maybe a slice of the new Captain Toad: Treasure Tracker Special DLC chapter. My game of the week is naturally RICO. Kick door, shoot baddies, drop corny one-liner, rinse and repeat. Video gaming bliss! After nabbing a 400GB micro SD card on sale a couple of weeks back, I’ve been redownloading all my archived games (nearly two days it’s taken me!) and I’m now looking at a fully loaded Switch with about 80GB to spare. 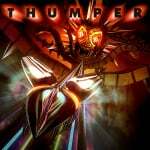 So, this weekend I’ll be revisiting a few of the things I was forced to archive – namely DOOM, Yoku’s Island Express and Thumper. 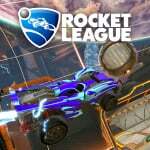 I haven’t played Rocket League for ages, either, and that’s always a good time. 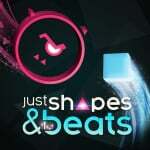 A conversation with a colleague also reminded me of the brilliance of Just Shapes & Beats, the musical bullet hell game I reviewed last year which seemed to get lost in the avalanche of eShop games – it’s an utter winner and just the notes of the opening theme put a big grin on my face, so I’ll be squeezing that in somewhere, too. I’m still hopelessly hooked on Disgaea 5. This weekend I’m aiming to unlock the mage class and start levelling them. Binding Of Isaac, still. 815 hours. I now have the full set of hard completion marks for about seven of the characters. The Keeper is making me despair, though! But I've been neglecting the challenges, so I may try some of those to unlock some more runes. Doesn't anybody else play this game? 😆 I never see it crop up in these weekend features. Oh well. Whatever you are playing this weekend, have a good one! Well, now that I have got my Wii U gamepad back from repairs, I am gonna start Paper Mario Colour Splash. Splatoon 2 Splatfest and Champion's Ballad - I just reached the final boss! Keep catching some Legendary Pokemons after storyline. Playing as Twintelle for Party Crash Event. @JoeDiddley That game destroyed my social life. Family would only get grunts for answers. Hoping to squeeze in a little Horizon Chase Turbo as I haven't played anything for a couple of weeks, life and work just gets in the way...I'm trying my best not to end up with backlogs but I've still got the single player Splatoon 2 to finish and I've barely scratched Smash. Too many games, so little time! I'm gonna spend the weekend trying to beat Mario & Rabbids. Picked it up a couple of weeks back and loving it. Cheap as chips at the moment too. Splatoon 2 and Stardew Valley again. 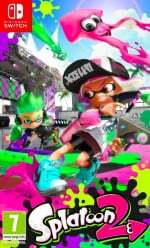 I’ve been out of the loop with Splatoon for a while so this Splatfest is a good chance to get back into it. Dusted off my Gamecube and started Pikmin again. Having a wonderful time! Also still playing Link's Awakening and FFX. Still working through Ocarina of Time on 2DS for the first time. I have the next few days off from work so looking forward to catching up on some much needed gaming time. On the Switch i will be continuing my adventure through Valkyria Chronicles 4...still enjoying it immensely, unfortunately as I'm just about to start chapter 15 I think I'm right near the end..
On the Ps4 I will be playing the fantastic Final Fantasy XII and having a few bashes at the multiplayer on Call Of Duty Modern Warfare Remastered. Some weeks ago I decided to clear some backlog, so I finished Xenoblade Chronicles 2 + Torna and Octopath. Now I've come back to Zelda:BOTW and got the last divine beast, will probably keep on doing some side quests this weekend. I'll also join splatfest (as Wizards) and ARMS party crash (as Twintelle). Hope everyone have a nice weekend! Still thoroughly gripped by Persona 3 Portable on PSP (please, Atlus, give us Persona 5 on Switch), but I also picked up Undertale the other week and have started playing it for the first time. Looks like I'm doing a pacifist run on my first playthrough - not sure if that's wise or not, but I'm having a ball. Alas, this means Dark Souls has taken a backseat, where I am somewhere in the Painted World. I like @Anti-Matter `s Box arts, specially when it`s some forgotten Wii game. @617Sqn Why do you feel the need to tell him every time? It's getting annoying. Going through your comments to see the majority of them are picking on Anti-Matter. I think he's interesting and I like the pics. @617Sqn give it a rest please, I agree with others, he brightens up the thread. Working on backlog. Started Skyrim and that was a mistake now my backlog will grow again as i’ll probably be spending 100’s of hours doing this again and i still have FF9, Disgea 5, VC4 and more to play. I finally grabbed Overcooked, so we’ll be playing that. I’m also going to finish off Cosmic Star Heroine and then start Flipping Death. Anyone who hasn’t played Baba Is You, it is genius! (Surprised the site has passed it by so far) Will be hooked on that for the weekend. I finished the Captain Toad DLC and NSMBU in NSMBU Deluxe before the weekend so it's back to XB1 for MCC. Tuesday's announcement of Halo Reach being added to the collection was super exciting. I'll be mostly expanding fields on an 8 year old Stardew farm. Waiting for a replacement left joycon. Looking at more Civ6 also. The Motorsport game looks interesting, had it on mobile. Sick as a dog, and couch bound. This weekend will most likely consist of Netflix in the background, while I try to sleep. While awake Ill play some Rico and Bayonetta on Switch. Might drag the laptop over to me for some DQ11, DMC5, and maybe Soul Caliber 6. My wife and I have been piling up moons in Mario Odyssey every evening to unwind. Just passed the 500 mark. I’m maybe 60% through Valley, a fun little diversion and decent sci-fi action platformer. Hitting my stride in Hyper Light Drifter. Will probably continue my best run yet in Dead Cells. And perhaps some Yooka Laylee to lighten the mood. Have a great weekend all and happy gaming! Plants vs Zombies is so good! I wish they hadn't removed it from the Vita digitally. I heard that's the best version of it. Hopefully they'll release a DX version on Switch! Oh, and I have played it on DS and it's a good version, but it runs at 30fps. I know almost, if not all, versions of it run at 30, but it's still disappointing! This weekend I'll be playing Wipeout HD, Katamari Reroll, Yoshi and Poochy's Woolly World on 3DS (60fps in 3D! ), Hook (disappointingly runs at 30fps, but still fun and I love the visual design and puzzle gameplay), Octahedron, Splatoon 2 (wizard), Neko Navy (LOVE this shooter! ), and Arms! Overcooked is a blast, especially couch co-op. Intense! I've been playing a lot of MapleStory 2. Hopelessly sucked into demon slaying with my Paragon 147 Monk. Haven’t touched anything else in days. The Diablo 3 end game is spectacular. Splatoon 2, Smash Ultimate, some Wargroove. Will probably stay like that until Pokémon releases. The incredible Devil May Cry 5. Can't see Bayonetta 3 coming close to this. Capcom should use RE Engine for all their games. Wonder if it is versatile enough for an open world game like new Monster Hunter or Dragons Dogma. Also, getting into Lost Sphear on Switch. Looks and plays like an old PS2 RPG, in a good way. I’ve been playing Wave Race. Baba is you, Civ VI, Wargroove and Just Shapes & Beats. I'm nearing the end of my long adventure in Hollow Knight , 95% completion. So I plan on finishing that off this weekend.I'm not sure I'll bother going for the full 112% but I'll come close. It's taken me 70 hours to get this far and I've loved every second of it, it's probably the best indie game I've ever played. Can't wait for Silksong. 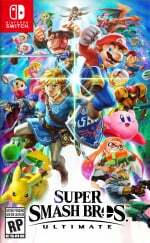 Smash Bros Ultimate will be my main game on Switch. Assault Android Cactus and (even more) Dead Cells for me this weekend. I’ve ploughed over 15 hours into Motion Twin’s roguelike masterpiece in the last few days alone. I just can’t seem to tear myself away from the wonderfully fluid combat and ultra addictive grind for cells to unlock new weapons and mutations. Though AAC will get lots of attention, too! @Chimaj Sure thing, man. I`ll join you momentarily. 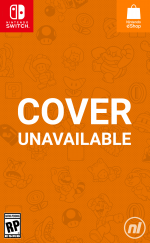 Splatoon 2, smash, startropics on switch. Just finished ALTTP on Wii u so I'll play some castlevania AoS now and maybe Mario golf. @The_Pixel_King That would be exactly what I was up to as well, but I screwed up and discovered the Monk class in D3 and now, in the span of about a week or so, I’ve taken a fresh out of the box Monk and gotten him to Paragon 147 and I’ve done nothing but rifts for days lol. AAC is the only other thing I’ve touched in fact, it’s absolutely amazing. Hopefully I’ll be able to take a break from D3 when Fate Extella Link drops next week lol. Hooks are in deep my friend! Girls und Panzer and some Splatfest. The Division 2. Switch could really use a game like that. @Ooyah 965 hours for me so far. It's such a regular occurrence that I might pop in Isaac for a run or two here and there that I don't even bother mentioning it. It's my game of choice when I want a break from whatever what I'm playing, haha. Been getting some fun out of the new AC: Pocket Camp update. Other than that I’ve been playing Wargroove and Undertale. As much as I’m looking forward to Sekiro, I don’t think I can play it for a while. I got sucked into Wind Waker and put DMC 5 and Red Dead 2 on hold. I love DMC 5 for short sessions, but getting through Red Dead has been a struggle. I’ve failed a couple of missions because I’ve fallen asleep by driving the stagecoach. At this rate I’ll never complete Chapter 4. @617Sqn i like the pictures. I have not yet finished LoTR: The Third Age because I have alternated between Smash Bros Ultimate and Breath of the Wild and now that I recently purchased Mario + Rabbits Kingdom Battle, I think those three games are not going to be played for quite some days. I am having a blast with this game since I started playing it and I still haven't purchased the DK Adventure DLC, which I am going to buy once I beat the main game. 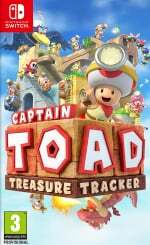 Probably going to give that Captain Toad DLC a try. And I’m playing through the original Dillon’s Rolling Western on 3DS. I never finished it and there have been a couple sequels since then that I want to play. @nintendobynature beating A Link to the Past is no small feat, so congratulations once again 👍 That's one of the 6 hardest Zelda games (if you include Phantom Hourglass and Spirit Tracks). Splatfest! I’ve got to uphold my duty as a Knight since it’s looking like there are a lot of wizards out there. Other than Splatoon I’m going to continue my infuriating adventure in Hallownest. I’ve just rekindled my love for the 3DS! Splurged on loads of cheap games for it that are all heavy hitters for the console. Even got myself a special edition New 2DS XL Animal Crossing Edition! Why do you feel the need to harass the guy about it every week? Do you have nothing better to do? Just hit the ignore button on his post so you do not see them like I am doing to you. You are gumming up the comments section each week. I'm still playing Ape Out on the Switch and Kirby's Extra Epic Yarn on the 3DS. The kiddo will probably want to play Minecraft together, but maybe I can get him back to Odyssey or we can try out Pode or Overcooked for something new. @SamusLv7 thanks friend, I've done it only a couple times at this point. Its definitely more difficult to me than other zelda games. ALTTP, the Oracle games, and MM are the hardest for me. Surprisingly, I found the ds zelda games pretty easy with the touch controls. Simply tapping on enemies made it much easier. I actually have a question for you I was going to post on one of the threads. You know my struggles with the non linear aspect of metroid games even though i do love them. Can't decide between zero mission and super metroid. I've played super metroid but never finished it. Is super metroid fairly easy to navigate in comparison to zero mission? I'll probabaly pick up one of the two soon. Currently preparing for the final dungeon in Final Fantasy V (Advance), and after that game's done I'll start up Pokemon Trading Card Game GB. I've already started my weekend with late night-Friday Smashing and some MHGU this morning. I gotta keep grinding! 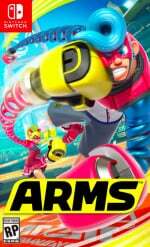 My dad apparently wants to play ARMS later too, so I'll definitely do that. Ocarina of Time on Wii U. After that, Wind Waker HD. I'm playing through Yooka-Laylee on my Switch. Got it for $20 under eShop sale. Getting back into playing Crash N-Sane Trilogy and will probably get back to Super Mario Odyssey as well. Been playing nothing but Smash and RPGs for the last four months. Time for a change of pace, just in time for Yoshi. Watching my 6 yr old discover Pokemon Crystal on his custom painted Charmander Odroid Go. Also learning how to finally play SF on an arcade stick so I'll be using my modded Mayflash F500 with MvC2 artwork and Sanwa parts on USF4 and the 30th Ann collection on Switch. Still playing Breath of the Wild. Just saved the fourth champion, now I'm finishing up Tarry Town. Others: Mario Kart 8, Stardew Valley, Love Nikki Dress Up Queen if non-Nintendo games count. I will continue my workout with Fitness Boxing. For gaming, Octopath Traveler and T99. 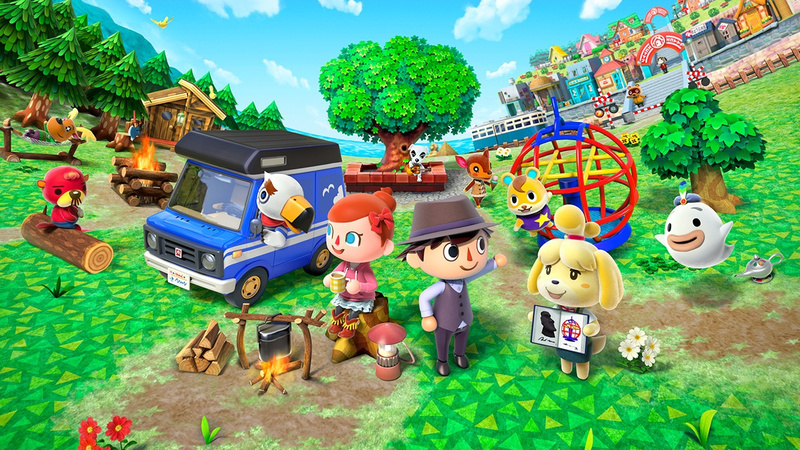 Returning to 3DS games (as some have mentioned) is not a bad choice. @nintendobynature I beat Zero Mission a while back and can confirm that they basically guide you the whole way. Perhaps loosely but nonetheless I never really had to do much guesswork. Super Metroid is the opposite in my opinion. It’s an old school Metroid that requires you to remember areas to backtrack throughout the whole experience. I know it’s probably going to be terrible but I got Phantaruk for 49 gold and I’ll probably play some Ape Out and try my hand at the Grand Prix in Desert Child again! Bought a Luigi switch wheel so will play some Mario Kart 8 Deluxe. Also want to finish Hue on PS4, play some more Pokemon Let's Go Eevee, play Animal Crossing: New Leaf and hopefully Detective Pikachu and Yokai Watch on 3DS. And of course I will play some games of Fortnite with my sis and Tetris 99. Also got a bit of a itch to play Super Mario World again. I have a metric ton of homework in addition to events at church, so when I’m not busy with that, I’ll try and slip in some Ultimate Chicken Horse and Super Smash Bros. Ultimate. Additionally, I ordered custom, English translated cartridges of Mother 1+2 and Mother 3, so I’ll try to slip in some of that as well! The translations for Mother 1 and Mother 3 are 100% complete, but Mother 2’s isn’t. 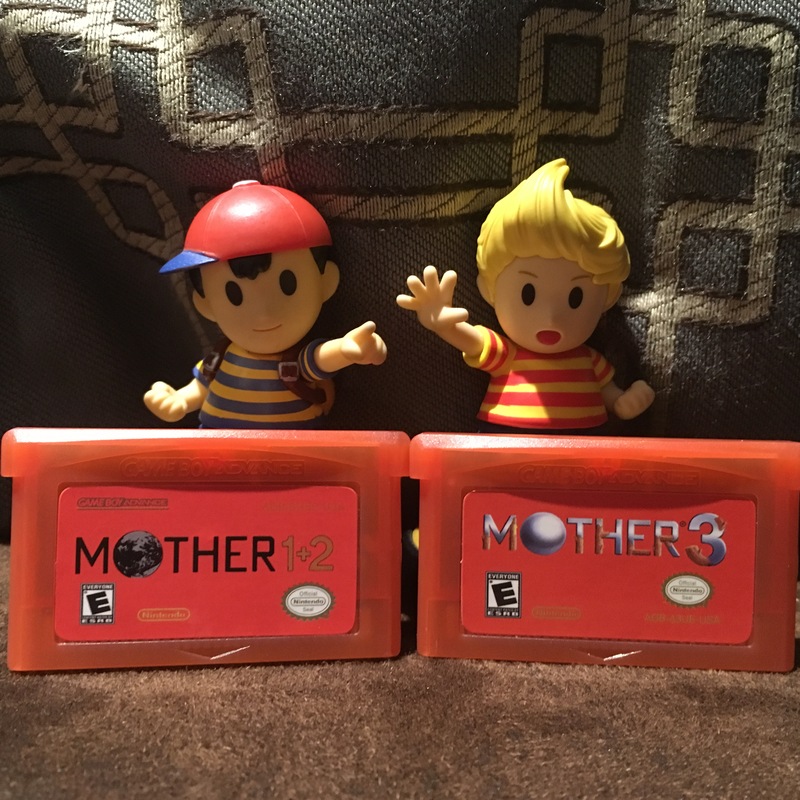 I really only ordered them for Mothers 1 and 3, since I already have EarthBound, but still, this is really cool! Still going through my third play of XC2 (missing 7 blades). Trying out DMC 5 and still playing Assassin’s Creed Odyssey. I bought Flipping Death cuz it was on sale, but I won’t play it for awhile because next week is Sekiro. @Balta666 interesting thank you. I'll be giving one of them a shot soon. @617Sqn he is intresting and very commiting @Anti-Matter keep posting these pics. Finally started Hollow Knight yesterday, hoping I haven't set my expectations too high but loving it so far. Some DOOM and Smash online will fill my weekend! With luck, I'll be playing RICO next week as well. I’ll be crushing team knight in the knights vs wizards spaltfest. Tales of Vesperia, The Liar Princess and the Blind Prince, and maybe some Smash. @MH4 I recently bought fan translations of Mother 1 + 2 and Mother 3 as well, but I haven’t had the chance to play them... Enjoy! @Illusion I'm playing OoT 3D and WWHD concurrently myself. Near the end of both. Might be my two fave games. My friends are havin a Mario Kart tourney Today! Two from the NES Classics collection on GBA: Super Mario Bros and The Legend of Zelda. I just got informed that Battlerite got a huge patch a few weeks ago. So, I will likely be binging on that since I have had a competition hunger I need to sate. And when I burn out, maybe Paladins or Remi Lore. @617Sqn Please just use the ignore button if you don't agree with what Anti-Matter posts. Just downloaded Bomber Crew, really enjoying that so far. Looking forward to Turok on Monday! Deep deep into the endgame on Witcher 3. Wasn’t keen at first but I’m pleased I stuck with it- sensational game. Centipede on Atari 7800 and Loopz on Jag. Waiting patiently for Scramble and space invaders 7800 homebrew and Halo 2600 arriving from Atari Age. Got Rico and Hard West so dabbling in both those. I'm finally wrapping up Wandersong personally. Idk if I'll get around to anything else. Gonna try to keep playing undertale. Combat isn't that great but the music, atmosphere and humor so far is enough to carry the experience. 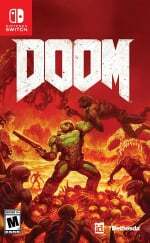 Is doom multiplayer still worth it or dead? Trials Rising and Donkey Kong country Tropical Freeze. Etrian Odyssey Nexus on 3DS, Undertale on Switch, maybe some Twilight Struggle on PC. @Ooyah BoI is an amazing game, and second on my most played Switch game just behind Monster Hunter, lol. I haven’t gotten to 800+ hours like you, I’m at around 250. Why Plants vs Zombies? Comming to Switch? Pokemon X on the 2DS, training some trade newbies. Other: Final Fantasy on the NES Classic, just pulled into Melmond. Mainly Xenoblade 1 (I wish this was on Switch!) and tempted by World of Final Fantasy Maxima as it's 50% off (would be my first FF...). Once again, the focus is on L.A.Noire and Xenoblade. At 17 cases out of 26, I still hope to finish the former soon, but I also want to put a more or less thorough save file on the shelf (at least the plot, vehicles, papers and street crimes; novels and records kinda underwhelm me so far anyway) - 27 Gb is not quite the size to redownload on every whim. Xenoblade has seen me wade to where and back again across Satorl Marsh while doing local quests; it's the one terrain I've found comparatively tedious to explore so far, mostly due to a mix of twisty narrow passages and large water pools that slow you down - but then again, how much comfort do you expect from an area called "marsh"? 😄 It still has some neat sights and an awesome nighttime BGM... and, ahem, another whole lot of 80+ level fauna mixed with the currently manageable ones, but at least most of these mammoths mind their own business while unprovoked. Despite Nelke still oddly absent from eShop (and after Koei touted those pre-purchase lures, too), I chose to shelf some other stuff to make room for it in case I get a chance to predownload it soon and am not done with the Phelps saga by then. Pity to see gems like Smoke and Sacrifice backlogged so far down after all, but that's the first world problem that comes with a library as increasingly delicious as Switch's. On the other hand, while the cleared "lot" lies vacant, I used the opportunity to pile the 10 Gb of earlier obtained Okami on it for a brief taste. And the taste was very sweet in itself. A very charming game with a bunch of promising mechanics and pretty smooth controls (well, it IS a Hideki Kamiya title). I expect a rich experience whenever I get to play it substantially. Child of Light was on sale on the eshop this week so I picked it up. Old game that I never got around to. Lots of fun so far. Happy weekend folks! Better late than never, right? I didn't have a ton of time to game this past week, so I've spent most of my morning playing Bravely Second: End Layer. I'm quite enjoying the game so far; chaining battles makes it easier to level up your characters and jobs, and the writing is just as enjoyable as the first game. I just busted my first Ba'al, and if the rest of them are that difficult...I'm probably in for a tough time or some grinding. I'm playing on Normal difficulty for this first run. The rest of my weekend will be dedicated to some adulting (ugh) and cleaning, but I do plan to shove in more BS:EL and maybe some more Metroid: Other M. The story so far isn't bad (though the monologues seem a bit unnecessary at times), and the gameplay is actually enjoyable for the most part; I'm still bopping around in Sector 1 as of this writing. Last but not least, I'm hoping to leave my hermit cave in a little while and get some fresh air since the weather is decent. I'll likely fit in a couple of Poke Stops in Pokemon Go while I'm out. Have a safe, fun, blessed weekend everyone! Just got myself a 3DS and playing A Link Between Worlds. (Will have beaten it by tonight.) The used system also had Bravely Default on it, and since I loved Octopath Traveler I have high hopes for that. Also playing some Steamworld Heist while considering pulling the trigger on Rico. @Anti-Matter: I personally have no issue with you posting the box art images of what you're playing. You're not breaking any site rules and are making the comments more colorful to boot! @nintendobynature I apologize for not replied sooner. As others have said, Super Metroid isn't as linear as Fusion and Zero Mission. It focus more on exploration. One thing that this game has in common with Zero Mission, is that it has map stations that reveals most of the area map, with the exception of secret areas or areas that contain multiple item upgrades/expansions. If you had troubles when searching for areas that aren't mentioned (like when some areas of Fusion got blocked and the game didn't tell you what to do), then I recommend playing Zero Mission first as it is slightly less linear than Fusion but not too much imo. So it will be a good way to earn some experience for when you play Super Metroid. Switch a no show for a while now - doubt that will change with Sekiro next up. Hopefully it picks up soon - but just started "The Man in the High Castle"... so got my commute entertainment covered for the short term. Division 2, Tetris 99, and getting back into Hyrule Warriors! Now that I have finished Kingdom Hearts 3 I am finally giving Undertale a go, along with a little Fortnite! De Blob, Fitness Boxing and some Pirate Warriors 3. @SamusLv7 cool thanks again. Zero mission more than likely then. After watching the new Team Sonic Racing footage and song Sega revealed today, I'm kind of leaning to play some Sonic Heroes tomorrow thanks to the theme this upcoming game has going for it. I also may play something else too. Nothing is set in stone yet, it's been a busy day. Warframe. I actually got the Esteem Pack to support them for all the hours I have in it. 12 bucks cdn if I remember right. @Lalivero I really liked wandersong, strange game and mechanics, but it really puts a smile on your face. Definitely play it to the end, it is worth it. Enjoy! @kirbygirl How is Epic Yarn on 3DS? I still play my 3DS sometimes, and I was thinking of getting this as 'my last game' on the system. Are you like the game play and controls? To ride me over until The Black Order releases I picked up Marvel Ultimate Alliance on the Wii, as it's not available on Xbox/PS anymore and it was only $5. The kids have been into Yugioh this weekend, so we have been playing Legacy of the Duelist on Xbox One. If I have any time left I'll try and squeeze in a bit of Final Fantasy IX. @dugan Yeah, it's great! Super charming, controls work well, and there's some extra content (as compared to the original) too. I finally gave in and paid those 20€ to play online so... Splatoon 2, a lot of it. Still playing a lot of RE2 Remake on PS4 but Nintendo wise I'm playing the hell out of Kid Icarus. One of my all time favorites! I have sold an absolute tonne of Nintendo stuff and made a pretty penny. Considering slimming down some of the peripheral Switch stuff too because well I've bought way more than I will ever play. Other than that, I started Portal 2 on the X1X which shamefully I have never played. Funny, smart and really good fun - wish there was more of this in games, not to mention it looks sharp in 4k! Goldeneye and Mario Tennis on N64. Also, Yokai Watch on the 3DS and good ol' Stardew Valley. Been away with the family to York for the weekend so only got a couple of hours in on the switch. 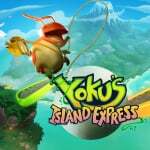 Yoku's Island Express and a couple of rounds on Tetris 99. @nhSnork Your storage allotment sounds almost exactly like mine! 😆 There’s some sizable indies as well, like Super Daryl Deluxe @ 5.5gb, and I think Enter the Gungeon (an awesome roguelite), is around 2-3gb. They all add up fast alongside some of the massive retails. I try to buy retails physical, but sometimes I’m delayed getting it, and it ends up on sale digital cheaper than I can get physical at the time - LA Noire was like this. Got down on that ROMANCING SAGA 2 sale here in NA. About 5 1/2 hours in and so far I am digging it. Live in Ohio, winter crushes my soul, This is the worst one depression wise I think I’ve ever had to endure. Broke my ankle this year too which may have made things worse. But constant darkness or clouds, garbage conditions, and pain if you dare to walk outside...yea I despise this time of year.